Mother/Daughter Retreat is Only 3 Weeks Away! DIY Canvas Journal – Work together to create a personalized spiral journal for 2!! Wood Round Plaque – Using chalkboard paint, you can make a unique craft that you can use on all kinds of occasions! Handprint Frame – Moms and daughters can make a beautiful painting of your daughter’s handprint inside your own that you will remember for years to come. 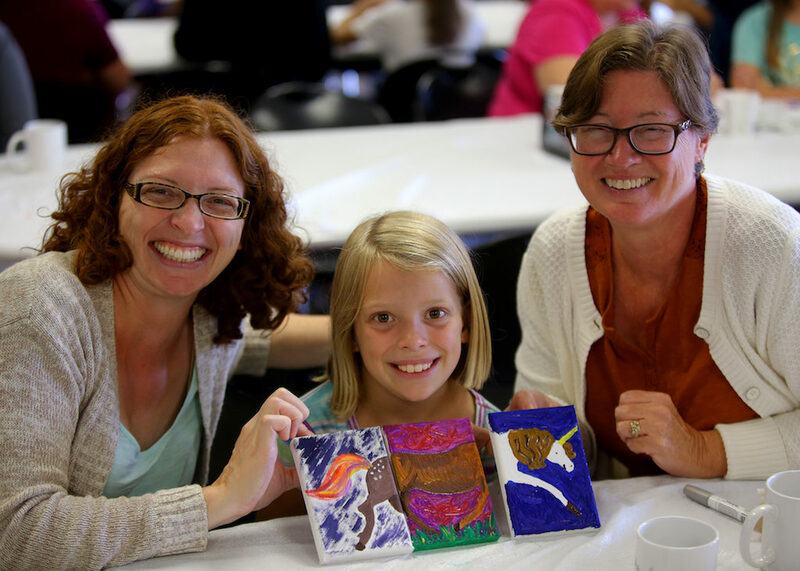 Mother / Daughter Canvas – Work as a team to create two (or three, if Grandma comes) canvas creations that come together to make one amazing masterpiece. All of these crafts are available for no additional cost during this weekend! If you would like more information on this year’s Mother / Daughter Retreat, or if you would like to register, visit www.miraclecamp.com.